I have a pair, can send you pics and ship no problem. chevellelaguna wrote: I have a pair, can send you pics and ship no problem. Limey, those appear to be regular chevelle tail lights. On a 73 laguna the chrome trim around the perimeter would go all the way into the tail light. Hard to explain. 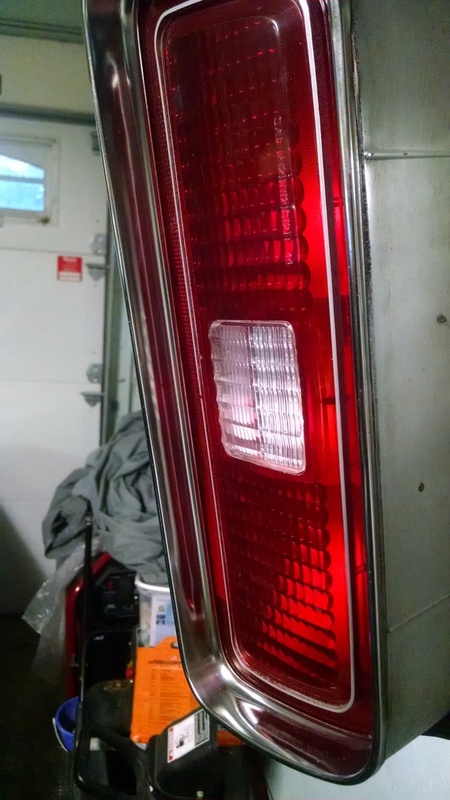 But if you picture the black area on a 73 SS tail light, that black area would be chrome on a 73 laguna. Limey, would this be the same for '74? 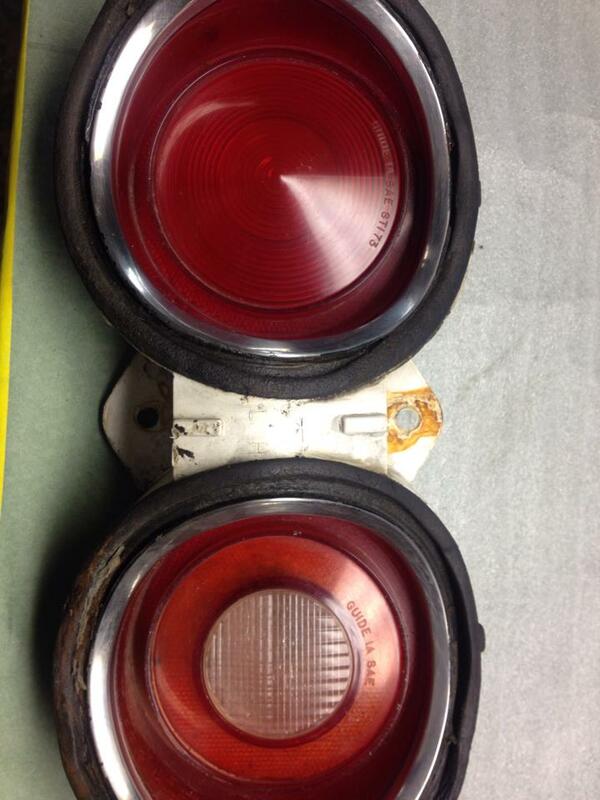 I just scored some really nice tail lights with a metal ring around them. My originals had no such ring....just a plastic lens. So i guess my question is are the swapped Laguna lights? They came off Malibu. 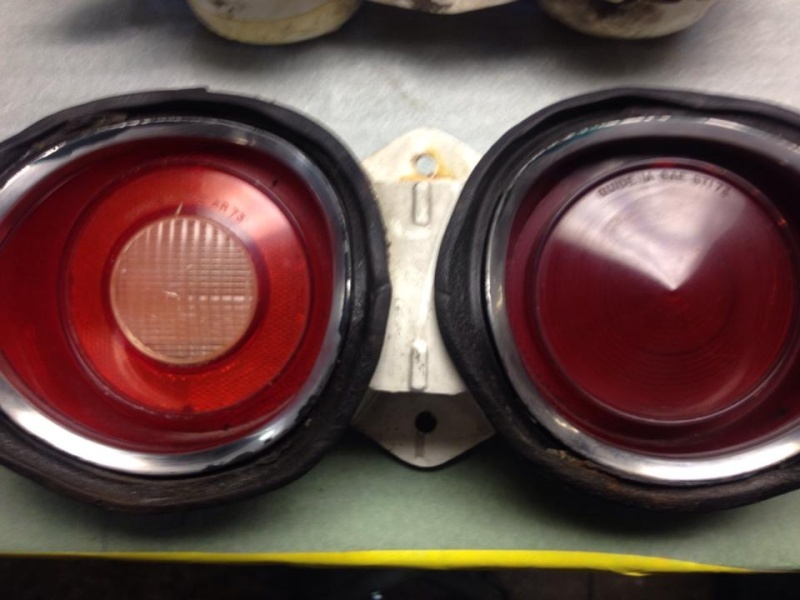 I dont believe there were black bezel 74 lenses and I've never seen wide chrome bezels on a 74 either. For 74, the trim around the edge might be dependent on model ie, base malibu or a classic option. I painted my oe ones black. (Po had painted them white). I traded my old hood for these really nice lights. I think trim or no trim would be depending on option. This car has big windows, full hubcaps, plain (no rub strip) bumpers, no rocker trim. It DID have these lights, rain gutters, and the under the tail light & under the headlight trim that my car doesn't have. Also a 400. It's fate is a figure 8 stock car. Anyway Joe you are probably right about option package. I have a left side assy in decent shape. Someone painted the metal trim inserts silver. Small crack in b/u lens. Gaskets are decent. I've seen much worse. If you are still looking I can send a pic or 2. I would be open to a trade for a nice left side malibu, non-laguna tail light housing.